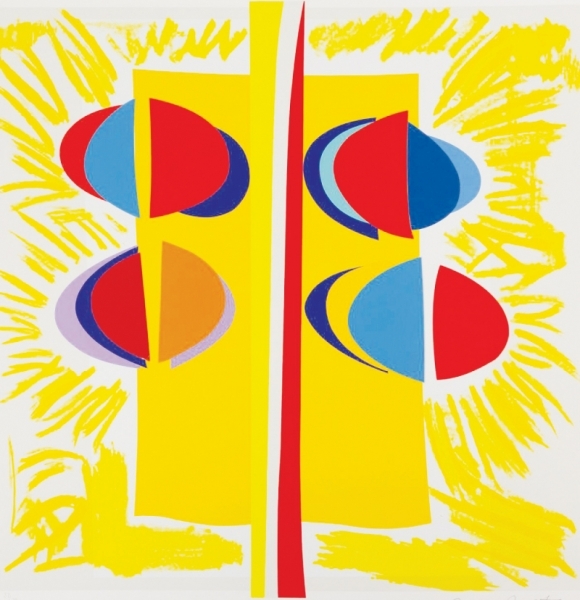 Carlyon Sunshine signed limited edition abstract silkscreen print with collaged elements by the late Sir Terry Frost RA. Sunshine seems to burst out of this composition. Frost combines simple shapes: circles, rectangle and lines with simple block colour, to create a joyful and dynamic image that conveys happiness and energy. This piece contains 8 collages elements, giving it a feeling of greater dpeth.